A lot of work goes into crafting the perfect brand. Okay, that’s the understatement of the year. But it’s the reason designing within a brand has so many rules. To make sure that new design work melds the existing brand, companies will go to extreme lengths to define the styles and specifications to guide the creative process. 1200-page handbooks, exact Pantone match colors— at a certain scale, defining how to use the brand is as much a job as making the brand itself. 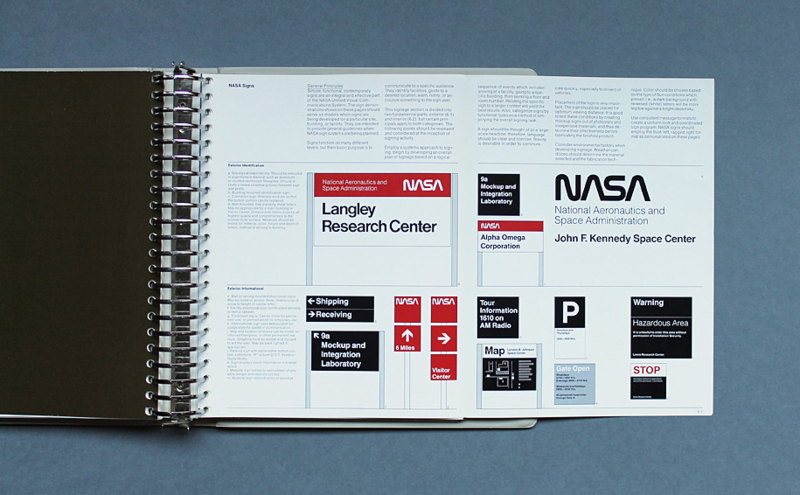 Brand guidelines from the past: A big binder full of NASA. In a way, our tech savviness has started to work against us. Our modern design and marketing toolsets have made it so quick and painless to create a campaign that just about anyone can take a swing at it. Grab the logo from the website, download a stock photo, and go. It’s awesome, but it’s a bit terrifying if you’re concerned with branding. Most teams I work with have a lot of people wearing a lot of different hats. Designers dabbling in code, managers flip-flopping between product and project, marketing interns armed with a fresh copy of Photoshop. It’s a very rare (or large) team that has a dedicated brand manager, someone whose full-time job is to make sure the brand looks its best. Even when they do, smart teams know there’s value in documenting the brand’s rules , usually in the form of style guides, brand boards, and logo specifications. Whatever you want to call it, in today’s copy-and-paste culture, having a central space with all the key elements of your brand is no longer a nice to have, it’s a necessity. A brand board is a way to collect (and share) all the files and styles that make up your brand. 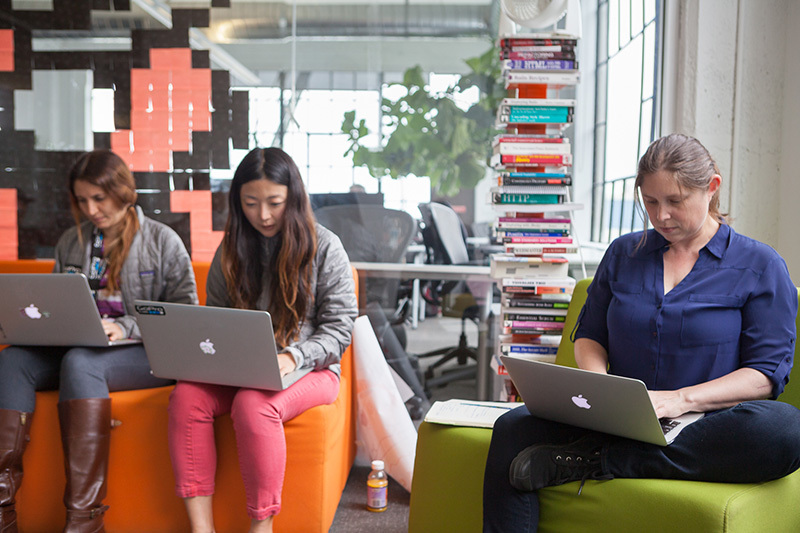 It’s like a crash course—a designer’s complete how-to for working with a new brand. Back in the day, these things were giant, printed manuals. With a little help from the cloud, the utility of the brand board has greatly increased, allowing remote teams to share ideas, colors swatches, and files as if they were sitting in the same office. While a traditional set of brand guidelines would share styles, a brand board can share files. All the logo files, font families, and photography that make up your brand, accessible with a few clicks. Even better, keeping the files in a central location (versus downloaded as random ZIPs in emails) allows you to keep you brand library current over time, always in sync with your latest tweaks and changes. Instead of opening that years-old ZIP, designers can hit the brand board for fresh, recent assets. And since a board is presented visually, you can include a lot more organization and hierarchy than a simple folder full of files dropped into a box (show your brand’s most-used logo variations large, with less-used brand elements in a smaller, noted section). Smart brands have always been in the habit of tightly defining their visual DNA , but now we can go a step farther, actually sharing our source files with anyone who wants them. One of the strongest tools in a brand board isn’t actually anything inside, it’s the URL where the board sits. Having a shareable link for your brand assets is a huge bonus, and not just for your internal team. With some file sharing methods, permissions and invites just seem to get in the way. I can’t even count the number of times I’ve gone to access a folder or doc and found I didn’t have access. The simple answer? Get rid of the permissions. If someone working on a deadline doesn’t have access to the source files, there’s a good chance they might just cobble something together as best they can (I’ll admit to this—I’ve scraped more logos off Google Image Search than anyone). Permission (or lack thereof) doesn’t mean someone won’t do something, but that they might do it wrong. It’s the reason you’ll find lots of smart startups (and some enterprises) including public links to their brand kit somewhere on their website. Maintaining a brand in a fast-moving space can be tricky, but a brand board sure helps. In my design years, I haven’t just been with a single brand. I’ve dipped in and out of more brands than I have US states. Yeesh, I need to do some traveling. Even when you’re devoted to a single brand, you’ll often run into a situation when you need to use logos from other companies (those trendy logo stacks on everyone’s landing page, perhaps?). As a designer, it’s your responsibility to play nice with others (brands). Image from Inside Design: GoPro. It gets a bit tricky, but it’s important to find a solution that acts within the rules of all brands involved. Study the brand boards of each and try to find common ground. Even if you’re not provided with one, do a quick poke around online and see if you can find official guidelines. Lots of brands have something hidden deep in the backroom of their website. When designing and interacting with multiple brands, making other brands look good actually makes you look better. Associate with quality folks (and folks with quality logos). A brand’s rules aren’t any good if no one follows them. Or if they have trouble finding or understanding them. 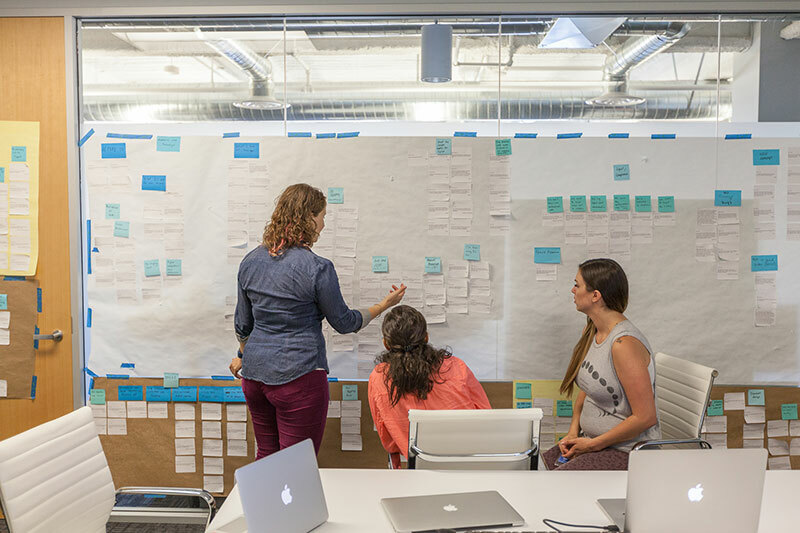 A brand board is an important step—for those inside and outside your team—to defining the styles and files needed to create successful design . Ready to make your own brand board?